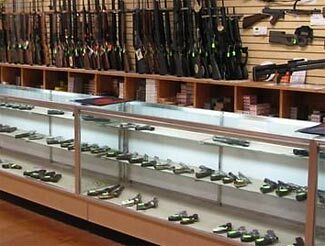 Firearms and ammunition are one of three recommended investments that are sure to resonate with preppers. Here’s an interesting article written for ‘ordinary people’ rather than preppers, and listing a number of alternate forms of investment for people who are skeptical about the long-term (and possibly even shorter term) validity of traditional types of investment (such as stocks/shares and bonds). Number one on their list of alternate investments? Guns and ammunition. I was actually thinking about this as I walked the floor of a huge gun show in the Seattle area last weekend – used guns in particular hold their value very well. Some guns I bought decades ago are definitely worth appreciably more these days – I’m not sure their appreciation has outstripped the rate of inflation, but tell me what else there is that you can buy and benefit from and still resell, years or decades later, for more than you paid for it originally. Number three on the list is farm land. This also speaks to the prepper mindset. If (when!) you buy your retreat, get as much land with it as you can possibly afford. This is one time when you shouldn’t hesitate to take on additional debt to cover the cost of the additional farmland, particularly if the land can be rented/leased out to a farmer or, for that matter, managed by yourself and your retreat community. The ongoing ownership costs of the extra land you purchase will probably be balanced by the return you can somewhat passively generate from the land, and of course, if/when TSHTF, you’ll probably have your indebtedness wiped out by the massive disruptions to society and our economy. Could we point out that this is part of the value/benefit of joining the Code Green Community – you’ll be buying into a substantial amount of land as well as a hardened secure retreat. Number six on the list is timber. This ties nicely into number three (land). It is highly desirable that your retreat resource include plenty of timber – in a post-SHTF environment, wood will become invaluable as a lower tech source of energy and as a general purpose building material. Number 11 is of passing historical interest, when it points out that in the earlier days of the US, whisky was used as a currency. This is entirely in line with our projections for future currencies in a Level 3 type environment, where we predict that currencies will be things that have underlying value in them rather than abstractions of wealth (ie paper money) or traditionally expensive items but which have no underlying value-in-use (ie gold). We do not agree with many of the recommendations in the article, either in general or from the specific perspective of preppers seeking investments not only for an ordinary/normal future, but for a potentially very changed future too. Some of their recommendations have high risk factors associated with them, and others ignore the high transaction costs of buying and selling the items (for example, rare coins and stamps, both of which attract substantial transaction fees through dealers or auction houses to buy and sell). But firearms, ammo, land and timber – two thumbs up for those recommendations. 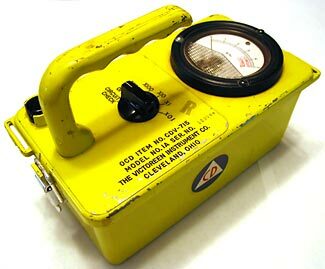 A classic Geiger counter, this one a government design made in the 1950s and 1960s. If you’ve ever seen any movie that features a radiation risk to the characters, you know what they do to measure the radiation. They have a ‘Geiger counter’ device that makes a clicking noise, which increases in intensity until it sounds like a hailstorm on a tin roof when the characters are at risk of too much radiation. Easy and simple, yes? Well, as you’ve probably already guessed, there’s a lot more to measuring radiation than simply buying a ‘Geiger counter’ from the Universal Studios Prop department. The first thing to appreciate, in deciding how to detect and measure radiation levels and risks, is what types of radiation may be present and need to be detected and measured. 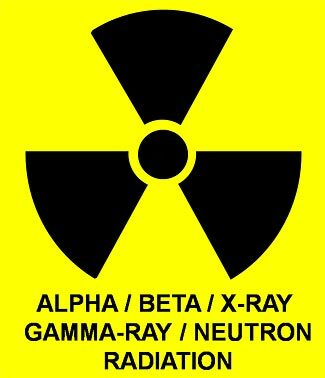 In our recent article on radiation and fallout risks, we explained the essential properties of five different types of radiation (alpha, beta, gamma, neutron and X-ray). All of these five types are potentially harmful, but not all need to be detected. You can eliminate any need to detect neutron radiation right from the get go. Neutrons are released as part of a nuclear explosion, but they are not released by normal radioactive materials on an ongoing basis. You may possibly be exposed to a brief ‘flash’ of neutrons as part of a nearby nuclear explosion, but if you are close enough to be harmed by the neutrons, you’ll almost certainly be killed by the heat or blast from the explosion anyway. So now we are down to only four types of radiation to consider. According to this source, most of the residual radiation to be found in fall-out comprises beta and gamma radiation. There are relatively trivial amounts of alpha radiation also present. Alpha particles are both good and bad. They are good inasmuch as they only travel a very short distance (an inch or so) and are blocked by even a single sheet of paper. But they are very bad if an alpha-emitter (anything that is giving off alpha particles) is ingested into your body – the damage from alpha particles is estimated to be 10 – 100 times more serious than the damage from beta and gamma radiation. In other words, it doesn’t matter if there are alpha emitters all around you, as long as they are at least an inch away, and as long as there is no danger of accidentally ingesting them. The short range of alpha particles also makes them harder to detect. This contrasts with beta radiation, which typically travels 6 ft – 10 ft and will usually be stopped by heavy clothing or thin sheets of metal or plastic. Gamma rays are the easiest to detect from a point of view of how close you need to be to the radiation source, because they can travel a huge distance, and they also require considerable shielding to block. From the point of view of measuring the radiation from external sources that travels inside a retreat, the only type of radiation you are likely to need to worry about is gamma radiation. Neither alpha nor beta radiation will make it in through the walls. It is important to understand the range of the different sources of radiation so that you know how to use and interpret the results of any radiation testing and measurement you are conducting. To consider these three sources, an alpha detector will only give valid results if it is within half an inch or so of the potential source of radiation, whereas a gamma detector can sense radiation over a broad area. It is of course sensible to measure the level of gamma radiation inside your retreat. You might think there’s little point in this, because there’s nothing you can do in response to the radiation that is reaching inside your retreat, but that’s not entirely correct. Even if it is correct, it gives you an understanding for if your entire retreat has been compromised and you need to evacuate it or not. If radiation levels are becoming significant, you can then use a measurement device to find the safest part of your retreat and concentrate your time in that area, and add extra barriers around that inner part of your retreat to keep the levels inside it as low as possible. The other main use for radiation measuring devices is to see how safe it is outside. Because most (but not all!) of the radioactive materials created and released by a nuclear event (typically a bomb explosion or power plant release) have relatively short half-lives, if you detect a significant level of exterior radiation, you’ll hopefully find that it will decline appreciably within a reasonable period of time and reduce down to acceptable levels. This will of course require taking regular readings and surveys of the radiation levels around your property. If the radiation levels are high but not dangerously high, we’d probably measure them every day until such time as they stopped increasing, and then perhaps every week as they decrease again. Remember that fallout may take anywhere from a day to a month or more to reach the ground, and if the event that created the fall-out is ongoing (either multiple bombs or a power plant with a continuing problem), there could well be days or weeks that pass before the maximum radiation levels are reached. If the radiation levels become dangerously high, we’d suggest you go outside less frequently. If after a month they still remain very high indeed and have not reduced substantially, you’re going to have to make some hard choices – can you realistically continue to wait out the radiation decline inside your retreat (and are the radiation levels safely low inside? ), or do you need to consider abandoning your retreat and moving somewhere less contaminated? There’s no real way to predict in advance if you’ll be ‘lucky’ and suffer only a low-level of radiation with a short half-life and rapid reduction in activity, or if you’ll be unlucky with a higher level of radiation and/or a much slower decline in radiation levels. Measuring the radiation inside your dwelling is easy. Just walk around the inside with a radiation meter and make notes of the radiation levels observed. The radiation you are detecting is almost always gamma radiation. Outside, you need to consider the impacts of alpha, beta and gamma radiation on the total readings. It could be thought that to understand the level of alpha radiation in an area – say, for example, your front yard – you would need to therefore do a painstaking sweep over the ground in a series of lines each only half an inch apart from the other – this would be like mowing the lawn, but rather than with a mower that might have an 18″ – 24″ diameter blade, a mower with a half-inch blade. In theory this is indeed the case, but in reality, it is generally acceptable, for our purposes, to assume that the fallout and contamination you are seeking to detect and measure is somewhat evenly distributed. In other words, if you detect a certain level of radioactivity in one square inch of ground, the chances are that a square inch that is a foot or a yard away will have a similar level of radioactivity. ‘Hot spots’ from fallout are more likely to be anywhere from several square feet in size to thousands of square feet in size. So while you still need your alpha detector to be very close to the ground, it is acceptable to only selectively sample parts of the ground. As long as the samples are reasonably consistent, you don’t need to test every square inch of every acre of your property in order to get a general feeling for radioactivity levels. The lower the levels of radiation found, the less detailed you need to have your survey. The more radiation you find, the more carefully you want to understand where it is. We suggest you keep a record of the results, and that to make them consistent, you should have some specific locations (both inside and outside) where you place the meter and record the levels from those locations. Not only should you get readings at the same places, and with the meter pointed the same way each time, you should also try to do it at the same time of day (the sun is a source of gamma radiation so you’ll get different results depending on where the sun is). You should start doing that immediately, so you understand what the ‘best case’ baseline scenario is prior to any releases of radioactive materials. Once you’ve built up a baseline, there’s little need to continue measuring during ‘normal’ circumstances, although repeating the measuring once every year or so would be interesting just to see if there are any surprises, and to make sure the meter is still reading the same as before (this is not a complete calibration process though – all you are doing here is checking the meter’s consistency at reporting low levels of radiation, a proper calibration exposes it to a high level radiation source as well to test its functionality when radiation is present). We mentioned calibration in the preceding section. Radioactivity meters need to be calibrated and re-calibrated on an occasional basis – you should check with the manufacturer to see what their recommended frequency of calibration might be (and then perhaps arrange for recalibrations at intervals twice as long as recommended). Some of the more modern devices have much less need for calibration, some of the older devices recommend annual recalibration. You can do some calibrating yourself if you have a known source of radiation that is also sufficiently powerful to be meaningfully detected by your device. Unfortunately (?) most common radiation sources that you might have (night sights on your firearms, watch hands that glow in the dark) release levels of radioactivity that might be too low to register on your device. Plus they probably have tritium as their source, and tritium has a 12.4 yr half-life, so it is not giving a constant level of radioactivity itself to start with. Old watches (from the early 1900s through about the 1960s) used radium, with a 1600 year half-life, but they are hard to find, and also have very low levels of radioactivity (about 1 mR/hr). If you are getting your device recalibrated, you should ask if you can get a report to show how much adjustment was needed. Clearly if the device was close to perfect, you can lengthen the interval between recalibrations. It can be helpful to understand the different types of radiation that is present on your property. Note that many times, your device may be detecting a mix of all three types of radiation. You can distinguish between the three different types simply. If the radiation level drops off when you move the sensor just an inch or so away from the radiation source, then you know that you have some alpha radiation – it will be the difference between the radiation level measured right next to the source and the lower level measured a couple of inches away. This can also be done by simply placing a sheet of paper between the source and the sensor, or by moving the sensor itself so the small window that allows relatively unimpeded movement by alpha particles is moved away from the source. The next step is to distinguish between gamma and beta radiation. Place a thin sheet (about 1/8th inch) of aluminum between the sensor and the source. The reduction in radiation between the unobstructed and obstructed readings is the beta radiation from the source. The balance is gamma radiation, both the normal background level of gamma radiation plus any additional coming from sources around you (and, in decreasing levels of intensity, from sources further and further away as well). How Much Radiation is Safe? When Does it Become Dangerous? These are difficult questions to answer exactly. To a certain extent, all radiation is cumulative, and so there is (sort of) no such thing as ‘safe’ radiation. On the other hand, it takes a certain amount of radiation to have a measurable impact on a person’s health, and furthermore, we are all exposed to radiation every day – background ‘cosmic’ radiation, radiation from radon and other natural sources, and so on. The ongoing low-level of exposure is used to justify additional radiation from things such as X-rays, airport security devices, and so on. The reasoning is ‘Well, it is only a little bit more than you’re getting anyway from natural causes, so surely it doesn’t matter all that much’. That reasoning is somewhat true, but also somewhat false, because, as we started off by saying, all radiation is cumulative. Think of a person’s safe tolerance for radiation a bit like a bucket, and think of radiation like a tap. Whether the tap fills the bucket slowly or quickly, the bucket still holds the same amount of water, doesn’t it. The only difference is how long it takes, not how much water is required. This analogy could possibly be slightly modified to consider the bucket as being one with a small little hole in it. So if the tap is only open a crack and water very slowly pouring into the bucket, the tiny leak will have an effect on how much water it takes to eventually fill it, but if the tap is full on, then the bucket will quickly fill before any appreciable amount has leaked out the tiny hole in the bottom. Lower levels of radiation can also be thought of a bit like cigarette smoking. If you smoke cigarettes, you increase the chances of getting lung cancer, but you don’t guarantee that you’ll get lung cancer, and you don’t know if you’ll suffer the cancer in ten years, twenty years, or forty years after you start smoking. Of course, if you smoke twice as many cigarettes, you’re more likely to get cancer and sooner than if you smoke very few. Similarly, low levels of radiation increase the chances of you getting various types of cancers, but they don’t guarantee you’ll get them, and they don’t say exactly when you’ll get them. High levels of radiation however work differently, and can be thought of instead as akin to a poison, and the only issue with very high levels of radiation is how quickly you get sick and die, rather than if and when and how. We discuss this subject in more detail in a separate article. Different types of devices can detect different types of radiation and at different levels of radiation intensity. There is no such thing as one single device which will do a good job of simultaneously detecting all the different types of radiation. This is a complex subject, and so we’ll write about it in a separate article. If some type of event results in a release of radioactivity in your area, you need to know what levels of radiation are entering your dwelling and surrounding you outside. There is no accurate way of predicting the type or amount of radiation that might settle in your area, the only thing you can do is measure it subsequent to its arrival. Radiation comes in three main forms, with different requirements for detecting and measuring. Depending on the levels of radiation detected, and whether they are increasing, decreasing, or staying about the same, you will then be able to decide if your strategy will be to evacuate the area, to wait out the radiation until it declines to a safe level, or if the radiation is not significantly elevated to start with. Please read the other articles in this series for more information about radiation. An Unusual Risk – Are Terrorists Lighting Forest Fires? You can’t truly appreciate the malevolence of a fire until you’ve experienced one up close that directly threatens you and your possessions. One of the positive features of a retreat location is proximity to timber. Trees and their wood can be used for many things – as an energy source for heating and cooking and many other things (even as a source of wood gas or ‘producer gas’ to power vehicles). And of course, they can also be used as a construction material for just about any type of construction project, or for outdoor fencing, and so on. But there’s a downside to being close to a forest lands. 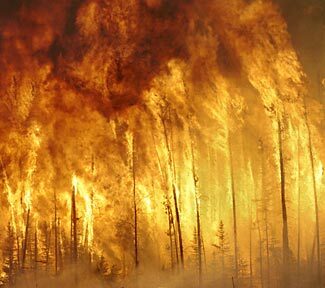 Forest fires. No matter where we live, we probably have become quite used to what seems like an annual event where – particularly in California – home owners in the furthest out suburbs where suburbia ends and forest starts discover to their apparent shock and horror that their homes are at risk from forest fires. We know this will happen, because we see it on television every year, even if we live thousands of miles away; but the home owners themselves appear to be taken by surprise. It seems that the greatest amount of destroyed forest comes from fires started by lightning, but the greatest number of fires are started by people (interesting information here). Now there’s not a lot that can be done to pre-emptively prevent lightning starting a forest fire (this is an understatement!). And, alas, there’s not a lot that can be done about human stupidity, either, and most of the time, you can’t prevent everyone from accessing all forested lands. Besides which, even if you can control access to your land, the problem and the vulnerability could be 10 or 20 miles away, and a fire that was started there could then travel to your land. We also know that some fires are deliberately lit. Arson is a known issue, but fortunately fairly rare. However, there’s a new risk as well, which, it is speculated, may have interesting implications for the US. Apparently Europe had many more than normal forest fires this year, and there is speculation (see this article) that some of them may have been deliberately started by Al Qaeda terrorists. If there is any truth in this, there would be every reason to expect AQ to do such things in the US too. Is the Impact of Human Started Fires as Big as it Seems? One interesting thing to consider, and which many conservationists overlook, it that wildfires are natural and normal. Fire is a standard part of the life cycle of forests, and it could even be argued, is essential and ‘good’. Although conservationists begrudge every tree that is burned, no matter what the cause of the fire, there are a couple of other perspectives. The first perspective is that if an area was not burned by a fire that was accidentally – or even deliberately – started by a person, then maybe it would have been started by lightning instead? It is hard to know what percentage of the manmade forest fires are actually ‘extra’ forest fires, compared to merely being started by a person today rather than by a lightning bolt tomorrow. The second perspective is that some people suggest if forest fires don’t regularly occur, there is an accumulation of more and more burnable material on the forest floor, which makes forest fires, when they inevitably do occur, more dangerous and helps them to spread further and faster. Interfering with mother nature is seldom a good thing, and the ‘law of unintended consequences’ seems to consistently bring about unexpected (but never good) outcomes. However, we make these comments merely to put the overall issue in broader context. If you are potentially vulnerable to forest fires at your retreat location, you need to take active steps to minimize your vulnerability. Forest fires, including those started by terrorists, are not so much an ‘end of the world as we know it’ scenario, but rather an issue to keep in mind and something to anticipate/avoid if/when you find yourself in a Level 2/3 situation and needing to survive at your retreat for an extended period of time. If your retreat is close to (or actually in) a forest, then you need to consider your fire protection strategies. Even if your region has seldom been troubled by forest fires in the past, that’s no reliable predictor that an AQ operative with a can of petrol and a box of matches mightn’t pay your area a visit one summer soon. It is also a possibility, in a Level 2 or 3 situation, that an ‘opposing force’ that wishes you harm (or which simply is jealous of your success and wishes to impact on it) may deliberately set fire to your forest lands, or use fire as a tool to force you out of your retreat. 1. Managing your forest lands to create fire-breaks so that you can localize any fires rather than risk losing every tree you have. Because it can take 15 – 25 years to regrow a usable inventory of trees on any land, a fire that wipes out much of your inventory of trees doesn’t just give you a difficult time for the next year or two, but instead, it massively changes your resource inventory for a decade or two into the future. You absolutely must ensure that any forest fire will not destroy your entire inventory of trees. 2. Designing and developing your dwelling and other buildings so they are not just fire resistant but fire-proof, and landscaping around them to keep fires as far away as possible. This should go without saying, but if I had a dollar for every retreat home I’ve seen built out of wood (and with a shake roof), I’d be a wealthy man indeed. A true retreat needs to be designed and built for function, not for aesthetics. 3. An air filtration system so that if the air around you gets contaminated by smoke from a fire you can still maintain a reasonably healthy atmosphere inside your main retreat. Even a fire ten miles away can severely impact on your air quality, depending on winds and other atmospheric conditions. This third point is perhaps the least understood of all. We’ll write about it in greater detail in a separate article. It is sensible to locate your retreat close to a forest. The wood will be an invaluable resource in any level 2 or 3 situation. But forests are vulnerable to forest fires, whether naturally caused by lightning, accidentally caused by stupid people, or deliberately started by terrorists or arsonists. Part of planning your retreat is to be cognizant of the dangers posed to it by forest fires and to prepare as best you can so as to reduce the risk such inevitable (albeit hopefully rare) events may present to both you and your trees. 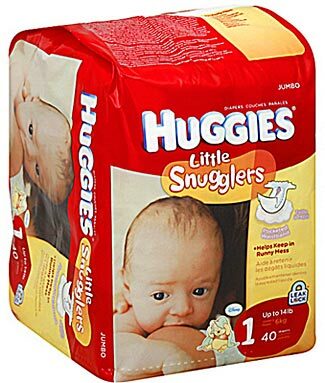 The US alone uses a staggering 35+ billion disposable diapers every year. A worldwide shortage is about to occur. Our first ever article on this site was about how a fire in a factory in a small town in Germany had worldwide implications in terms of creating a global shortage of a material needed in the production of new autos (in their brake and fuel systems). This one fire in one factory created a supply chain problem for 3 – 6 months, and we used this to show the way the world is becoming increasingly dependent on – and vulnerable to – obscure things in far away places. Rather than the world becoming more ‘fault tolerant’ and the global economy meaning we have more and more sources of everything and anything, the exact opposite has happened. 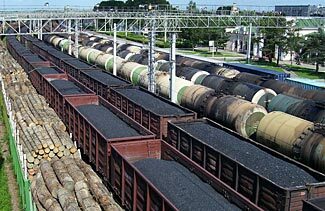 Production of sometimes critical items has been concentrated in only a few places, to serve the entire world. It is almost six months from that inaugural post, and so to celebrate our ‘six month anniversary’ we’d like to circle back to where we started, and offer up another surprising example of a supply-side vulnerability. This time it is with baby diapers. A fire – this time in a chemical factory in Japan – has killed the production of a chemical used in disposable diapers – the chemical substance that makes the disposable diapers so super-absorbent. This one factory had been producing 20% of the world’s entire supply of the chemical, and there was already a tight supply situation. Details here. So dropping from 100% to 80% mightn’t seem like a big deal, but it could have a massive impact on diaper pricing, potentially even doubling their cost, until such time as new capacity comes on-stream. Think of it like a freeway – at 80% of capacity, even at 95% of capacity, traffic flows smoothly, at 100% of capacity, traffic jams up and at 101% of capacity, you have an instant parking lot. Just like a small change in freeway traffic can have a big change in the driving experience, the supply/demand curve shows big changes in pricing can be caused by only small changes in demand. Of course, most of our lives were unchanged by the loss of the German factory’s chemical production and its impact on new auto manufacturing, and most of our lives will be unchanged by a diaper shortage too. We’re not suggesting you need to stockpile obscure chemicals used in either auto or diaper manufacturing! We’re simply offering this up as another example of how the world is becoming more vulnerable to unexpected events and the potentially major and long-term disruptions that may follow from them. Rather than becoming more fault tolerant, today’s society and economy is more fault sensitive. A prudent prepper is aware of the vague vulnerabilities in the world today, and carefully identifies the key critical parts of their life and their lifestyle, and creates backup plans for how to safeguard these things in the event of future disruption. Whether you’re planning to withstand minor or major events, for the short-term or the long-term, it pays to be aware of what you rely upon and need, and to ensure you have plenty of this on hand. If you wear glasses, you make sure you have spare pairs, just in case. If you need medications, you keep as abundant a supply as you can, so if there’s a supply disruption for six months or a year, your personal health isn’t compromised. And of course, if you like to, ummmm, eat food and drink water, you make sure that if there are disruptions to the supplies of both, you have alternate sources or supplies on hand for these essential parts of our lives, too.